Midway through college, Sarah Maxwell moved into her first apartment bringing along a pink dogwood quilt her mom sent along to serve as a bedspread. It was appliquéd in the 1930s, presumably from one of the popular kits of the era. Sarah grew up in the Lake of the Ozarks, where the dogwood blossoms always signaled the start of spring, so the quilt was a welcome reminder of home. A few years later, married to Joe and expecting their first child Megan, Sarah got the nesting instinct so familiar to expectant mothers. Inspired by the treasured dogwood quilt, she bought a “Teach Yourself to Quilt” book, cut out squares with scissors, and pieced and quilted her first quilt. 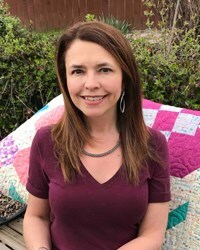 Local quilt guilds provided opportunities for classes with teachers from across the United States and the world of rotary cutting and computer design opened up. 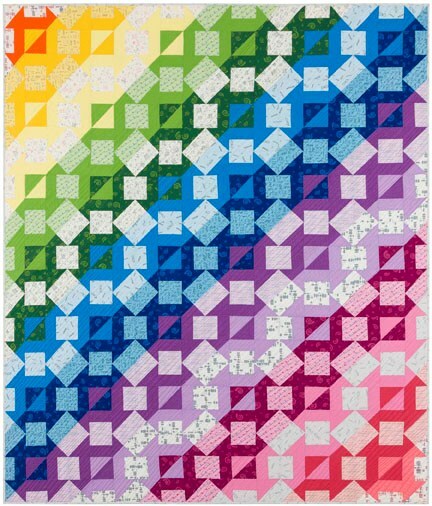 In the years since, Sarah has used Electric Quilt to design countless quilts. Her quilts have been regularly featured in American Patchwork & Quilting, Quilts & More, Simply Moderne and many other magazines. 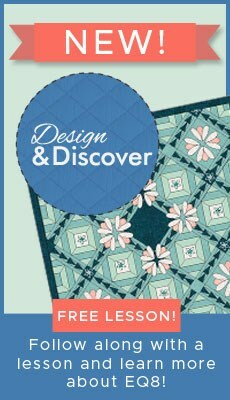 She has also designed numerous quilts and projects for Marcus Fabrics. Once Shannen, her second daughter, left home for college, Sarah turned her attention to fabric design. Hoping to meld her love of antique quilts with a more contemporary aesthetic, Sarah’s designs meld the best of the past and the present. She currently has batiks, flannels and prints available in quilt shops around the country. Sarah’s work is always supervised and inspected by the three cats left behind by her daughters. While now frayed and faded, that dogwood quilt remains a special reminder of how it all began.